Thank you so much for your calls and emails yesterday into the Wyoming Senate! Thanks to your activism, the Senate rejected the anti-gun amendment that was offered by Senator Burns which would have totally undermined the bill. As a reminder, HB 137 would repeal the prohibition on carrying firearms in government buildings like the Capitol, city halls, locations where county commissioners hold meetings, and more to every gun owner with a permit! For too long, these places have been off limits to gun owners even though it’s taxpayers like you and me who pay to build and maintain these properties in the first place. That’s why Senator Burns’ amendment was so offensive to the Second Amendment as it would have allowed for ‘local control’ — code for allowing every locality to reinstate this ban on gun owners! Thankfully, the amendment died by a 16-13 vote. But we’re not out of the water yet. This was the second reading of the bill, meaning it has to go up for one final vote on Monday. And the anti-gun lobby — not to mention Senator Burns who ran the amendment — is angry about today’s vote and looking for a final chance to sandbag this bill for the year. That’s why you need to contact your Senators one more time and make sure that they don’t back down on this bill. The Senate voted to crush “Campus Carry” legislation this past Thursday, trying to placate the anti-gun lobby that works in Cheyenne. So we can’t let up the pressure, not for a minute. Please call, email, and message your Senator right away! If you need the name of your Senator, please go here. 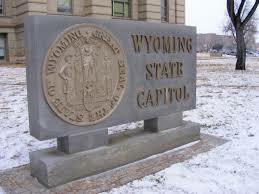 As a member of Wyoming Gun Owners, I insist that you support HB 137 as it goes for final passage on Monday. Any amendment that grants so-called ‘local control’ is a thinly veiled ploy to totally undermine the bill and allow for local gun control. I urge you to fight for gun owners and the Second Amendment by supporting this bill in its current form! Please don’t lay this aside and assume that it’ll pass just because this is Wyoming. Clearly that’s not enough, as our Campus Carry bill died this week! Gun rights aren’t a Republican or Democrat issue here in Cheyenne, but rather a freedom issue, and not everyone in the legislature that says they support your Second Amendment freedoms actually does. Please help us keep the pressure up, by contacting your Senator right away — and make sure your friends do the same! Also, I hope you’ll consider a donation to Wyoming Gun Owners. We are working around the clock trying to advance these bills as volunteers. But we need to mobilize gun owners via social media, mass email deployments, and perhaps even radio and TV ads! Please consider joining Wyoming Gun Owners as a member today! If you’re already a member, please make a special contribution to help us run this program. Either way, we need to keep the pressure up on the Senate so please contact them right away! P.S. By a margin of just 16-13, gun owners defeated the anti-gun amendment that was offered up by Senator Burns that would have totally undermined the impact of HB 137! The bill would repeal the ban on carrying firearms with a permit in places like the State Capitol, city halls, county commissioner meetings, and more! But we’re not done yet, as the bill will go for a third and final vote on Monday. So please contact your Senator right away by emailing, calling, and messaging them via Facebook right away! And if you can, please chip in a donation of any amount to help us get the word out to as many gun owners as possible!